©2012 Hellam, Varon Co., Inc. P.S. All rights reserved (425) 453-9192. 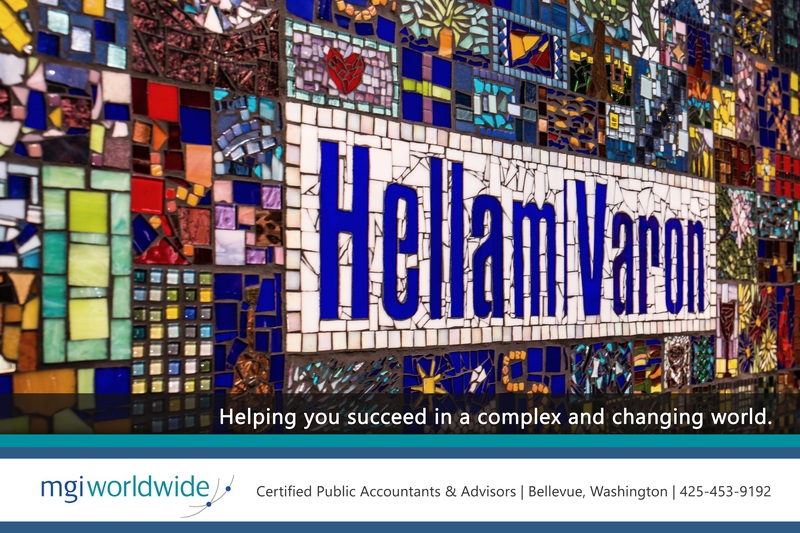 Hellam Varon is a full service CPA firm located in Bellevue, Washington serving clients throughout the Northwest. We have been providing clients with audit, accounting, bookkeeping, and tax services for over 35 years. The firm is also recognized for its estate and trust planning, strategic and operational business consulting, and forensic accounting services. We are committed to enhancing the financial success, well-being and unity of families and closely-held businesses while supporting our community and having fun.